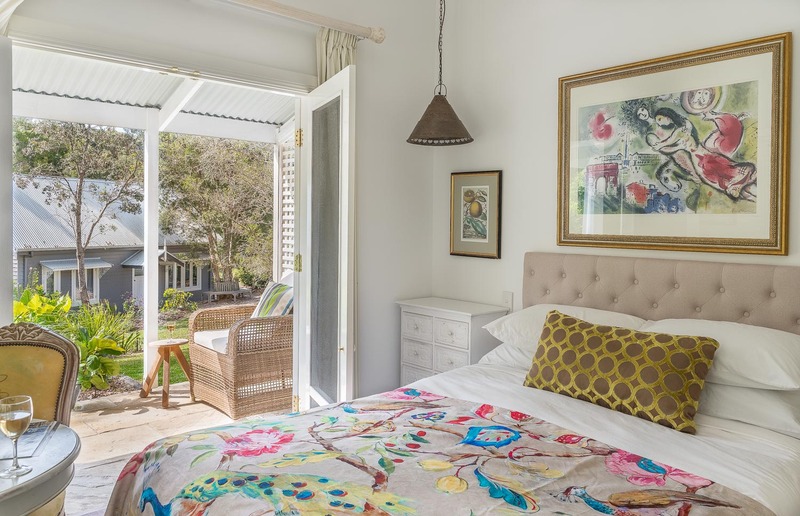 Romantic bed and breakfast guest house set on 100 acres of forest bushland in Byron Bay, New South Wales. 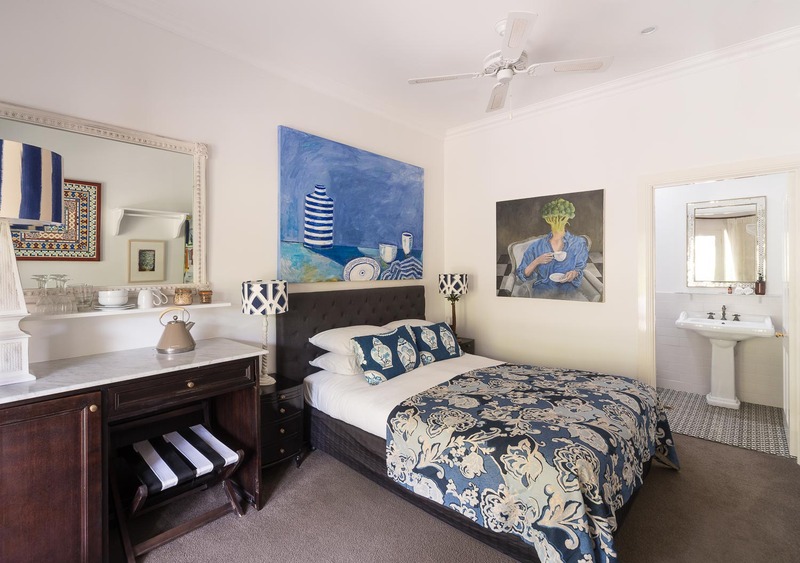 Abelia House is a luxury bed and breakfast guest house situated in the coastal town of Byron Bay. 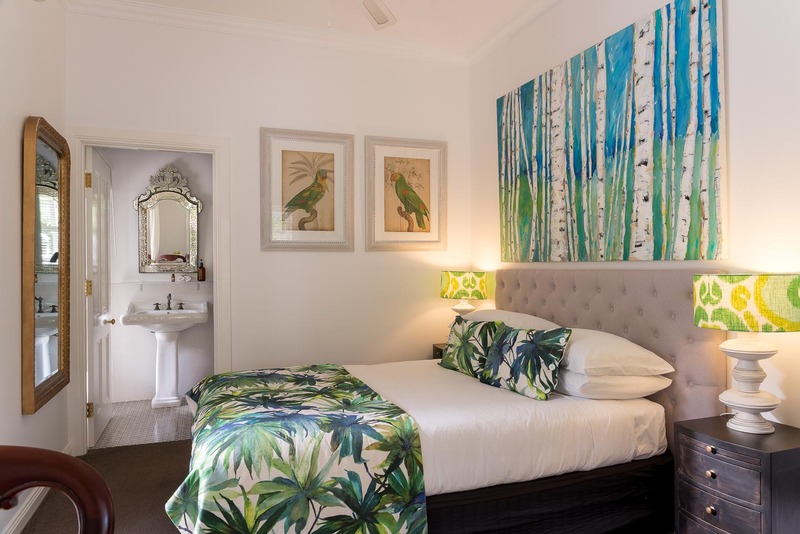 It less than five minutes from the town centre and 10 minutes from the historic town of Bangalow. This romantic hideaway is set amongst 100 acres of forest bushland. It is home to a rich variety of native flora and fauna including wallabies, rainforest birds and koalas. There are three beautifully appointed bedrooms, all of which have a queen size bed with quality linen and stylish ensuite bathroom. Each bedroom is air conditioned with ceiling fans. For your convenience each bedroom has a Nespresso coffee machine and continental breakfast is served to your room each morning. All bedrooms have French doors which open onto a spacious veranda where you can sit and enjoy the natural surroundings. This luxury guest house is the perfect place to reconnect with your loved one. One hour and 55 minute drive from Brisbane. One hour and 15 minute drive from the Gold Coast. 10 minute drive from Bangalow. Five minute drive from Byron Bay. If cancelled or modified up to 30 days before date of arrival no fee will be charged. After that time the total price of the reservation will be charged. The Forest Room is comfortably appointed with a modern country feel and original artwork on the walls. It has French doors opening onto the large sandstone veranda, where one can have breakfast listening to the abundant birdlife and sit in the large comfortable wicker chairs. If you prefer to sit inside, you can sit at the marble topped table. The ensuite bathroom is lavishly appointed and has a hint of the old world. There is a queen size bed with luxury linen provided. The room has a bar fridge, Nespresso coffee machine and tea making facilities. All rooms have AC. The Garden Room is our best room, it is bright and airy with French doors opening onto the sandstone veranda which overlooks the well established garden and forest. Breakfast can be eaten in the room or on the secluded veranda overlooking the garden. You can also sit in the large comfortable wicker chairs whilst watching the busy activity in the birdbath. The bathroom is beautifully decorated with a hint of yesteryear. There is a queen size bed with luxury linen provided. The room has a bar fridge, Nespresso coffee machine and tea making facilities. All rooms have AC. The Terrace Room is romantic and cosy with an air of modern sophistication and has interesting artwork. It�s French doors open out onto the wide veranda and terrace. The ensuite bathroom is lavishly appointed and has a hint of the old world. Breakfast can be eaten in the room or on the wide shady veranda. There is a queen size bed with luxury linen provided. The room has a bar fridge, Nespresso coffee machine and tea making facilities. All rooms have AC.